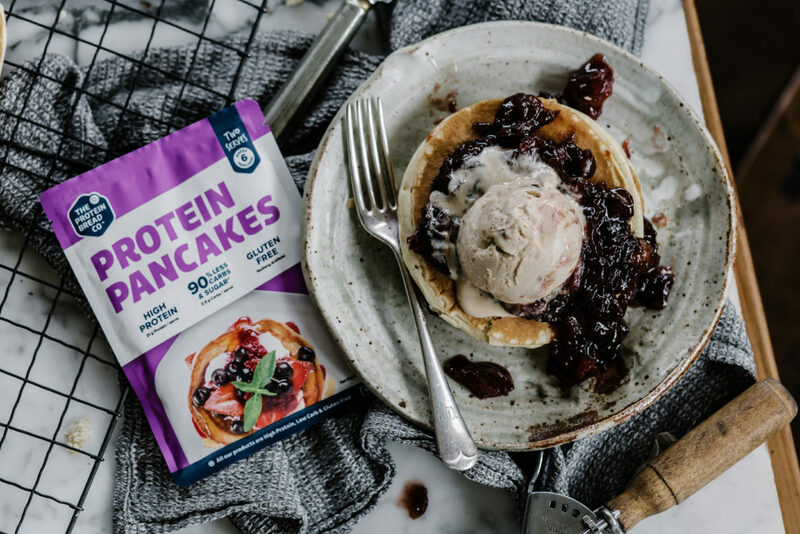 ﻿ Protein Pancakes w/ Rhubarb Berry Compote - I AM Co.
To prepare the compote, combine all ingredients in a small saucepan over a medium-high heat and simmer for 15-20 minutes, until the fruit has softened and the syrup has reduced. Set aside while you prepare the pancakes according to the package directions. You can substitute the egg for chia eggs as per the substitutes provided on The Protein Bread Co website. To serve, top your pancakes with the compote and coconut ice-cream or yoghurt if you’re feeling indulgent. To buy this amazing Protein Pancake mix from The Protein Bread Co. online simply click here.